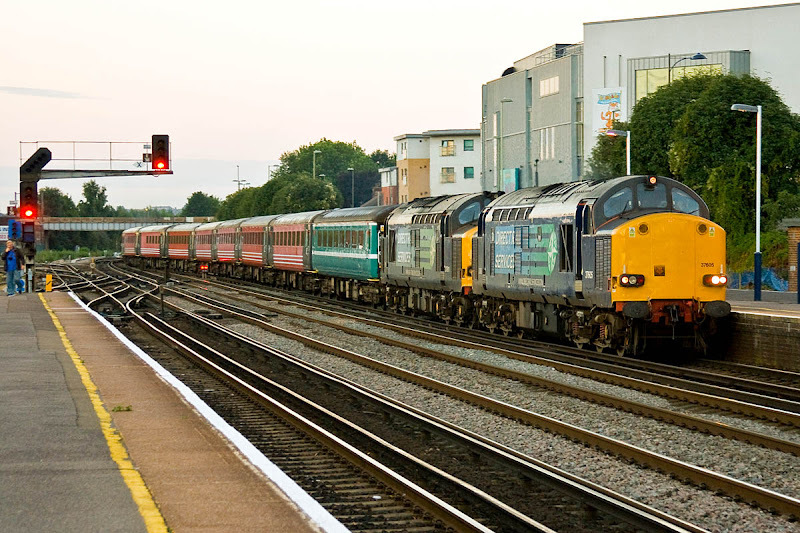 45231 returns from Weymouth through Redbridge, 28th August. Image by Ian Knight. 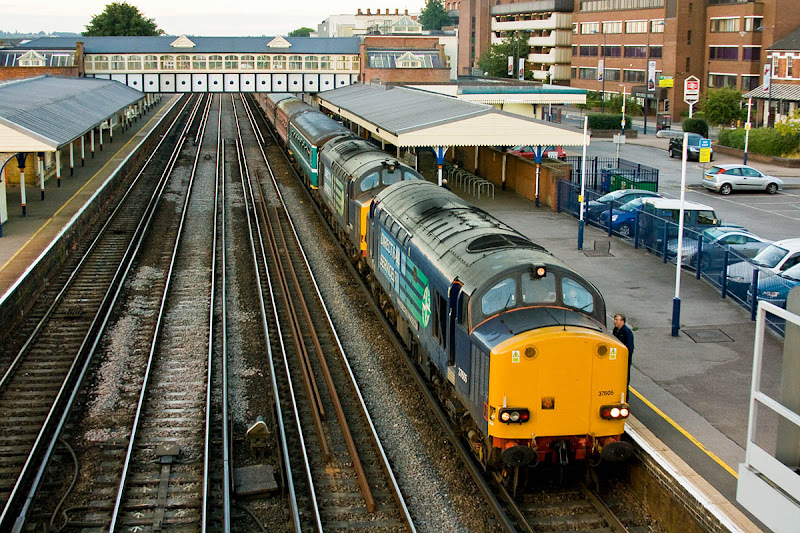 A few minutes earlier, 47237 brought the train in towards Southampton. Image by Ian Knight. 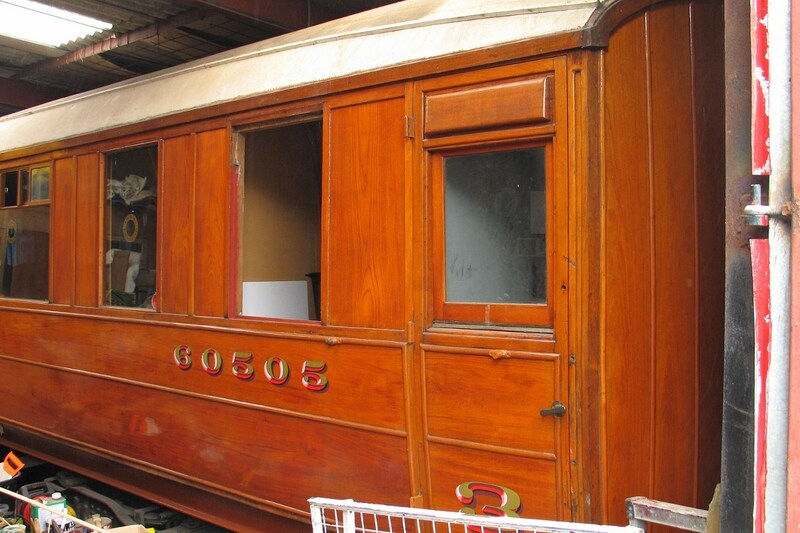 Coach 61805 of 4-CEP 2311 and motor luggage van 68005. 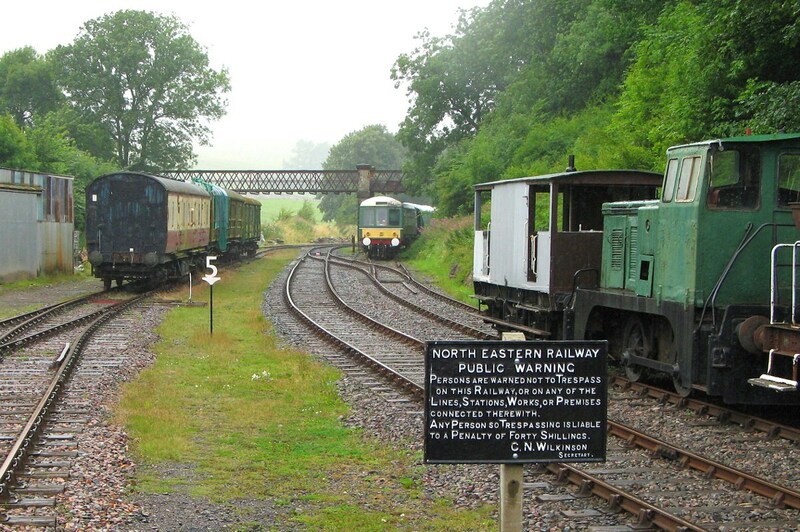 The Eden Valley Railway is not open on Saturdays, services operate on Sundays. 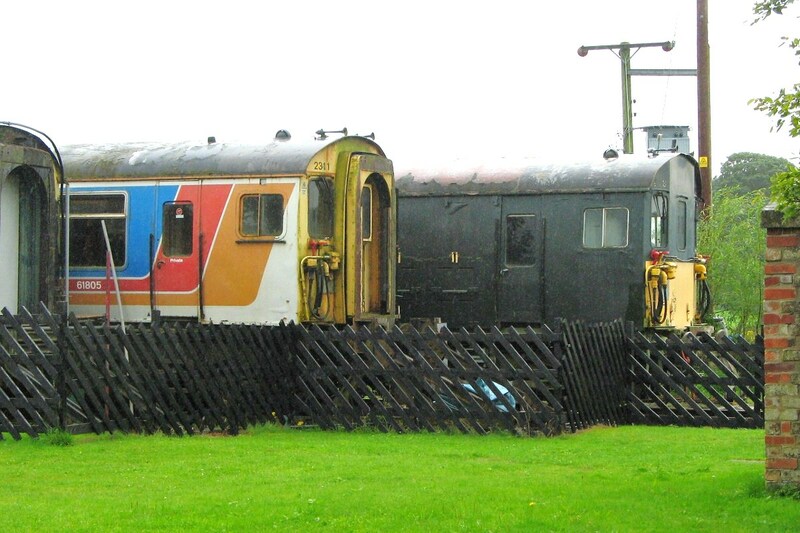 Also on site but not visible are 47799, 4-CEP 2315, and motor luggage van 68003. 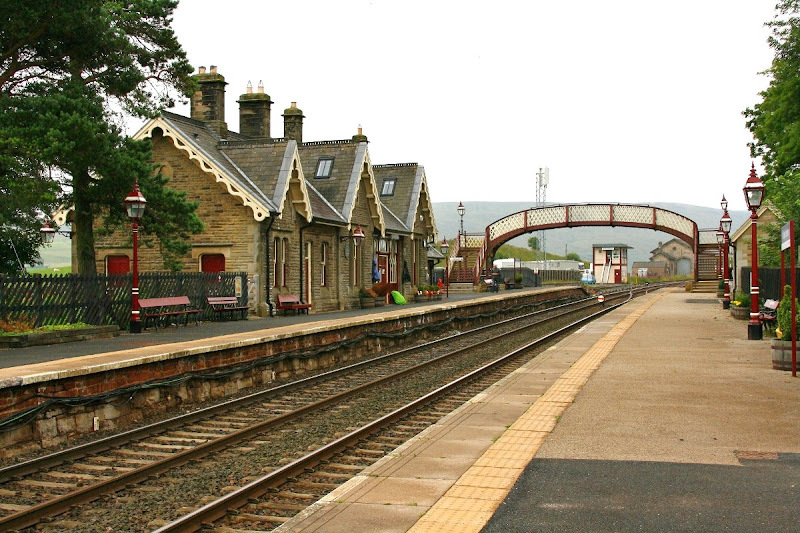 From Kirkby Stephen West (Settle & Carlisle), it is only a minute and a half by car to Kirkby Stephen East, home of the Stainmore Railway Company. 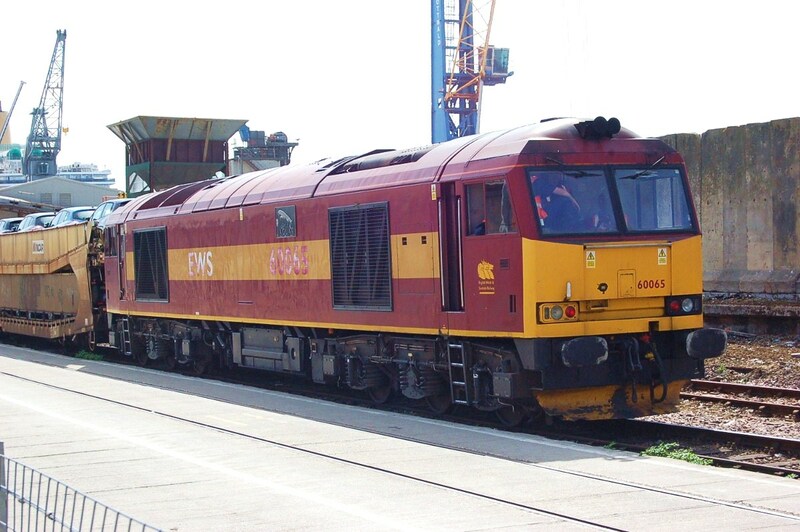 37146 is stored in ex-EWS condition, delivered from Tyne Yard in 2007, following usage in France in 1999-2000. 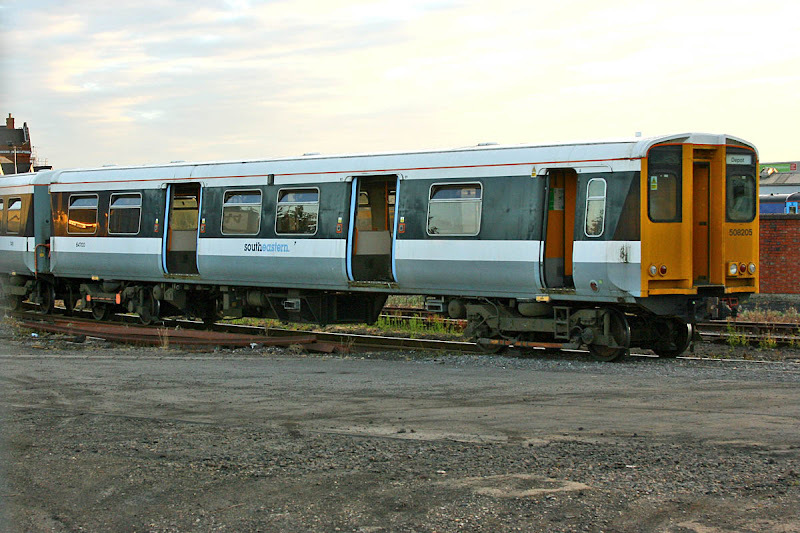 20169 has been receiving new doors around its engine. 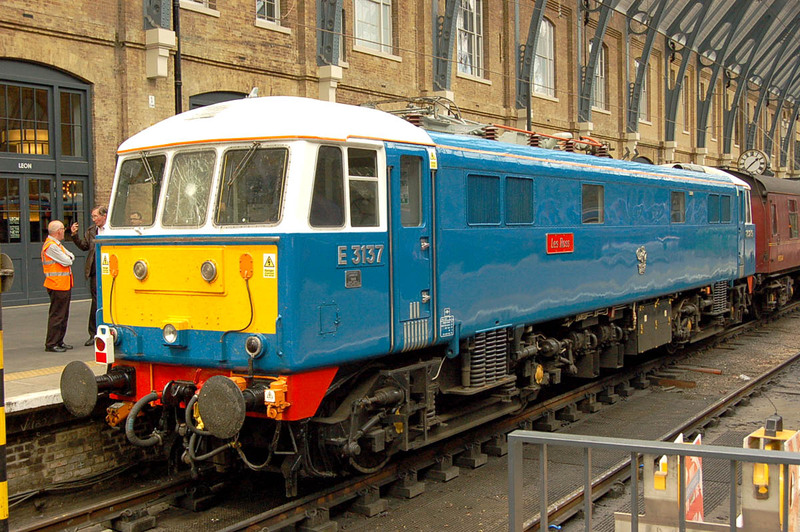 31410 repainted into Regional Railways colours, on one side. 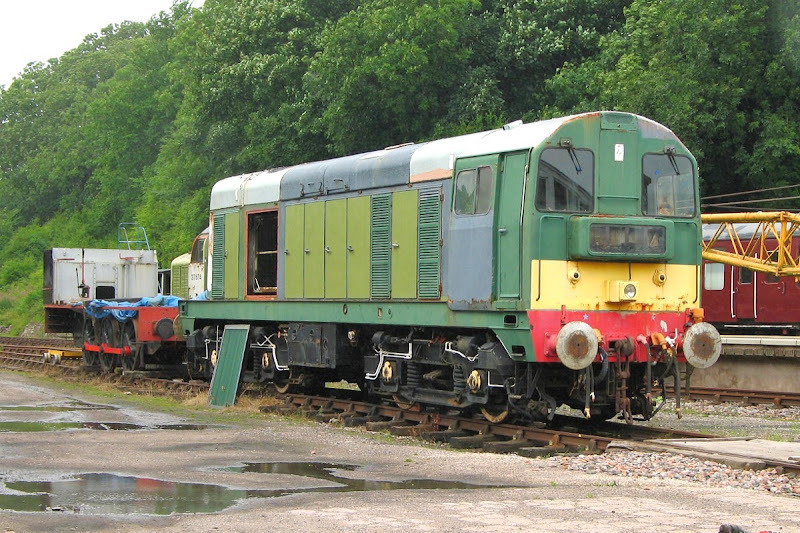 47785, formerly Fiona Castle, new in October 1965 as D1909. 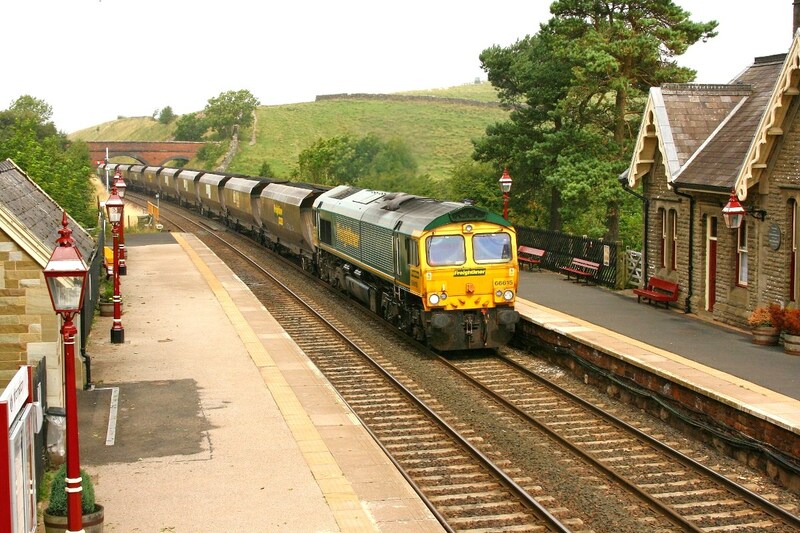 Delivered to Kirkby Stephen in July 2007. 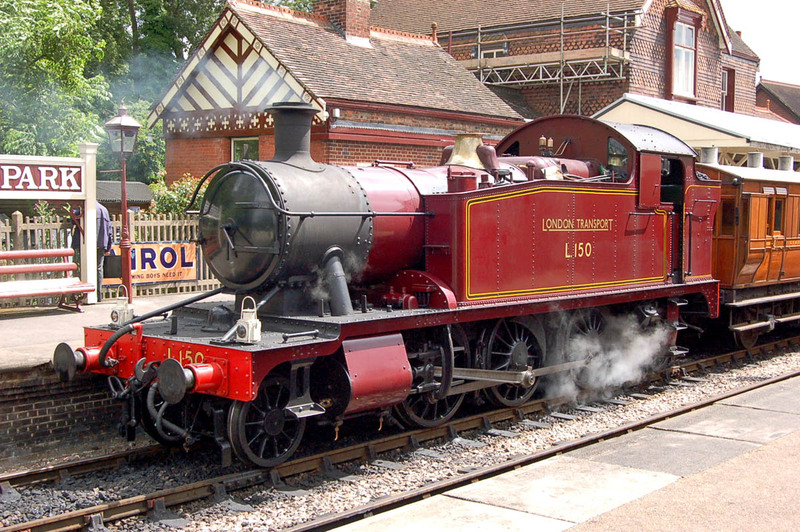 LNER TTO 60505 (York, 1936) is ending the end of a long restoration, one of six Gresley coaches on site. 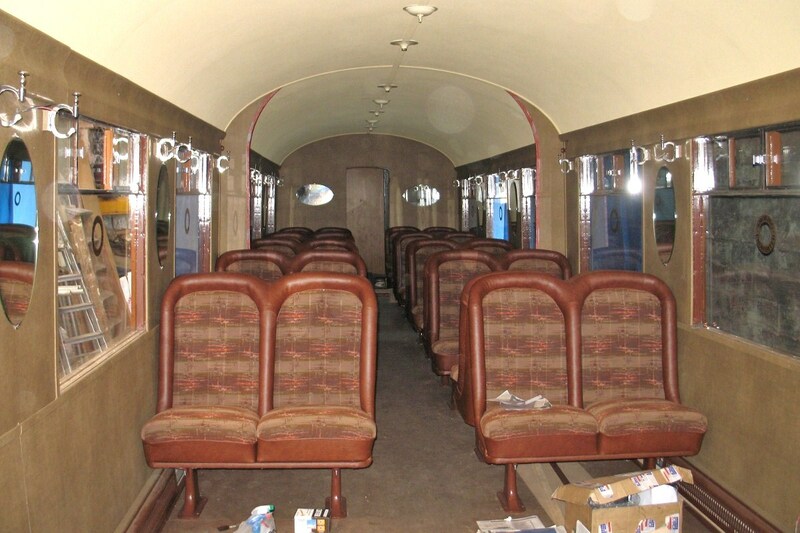 Reproduction LNER bucket seats, all interior of the TTO had been gutted by BR. The replica coat hook brackets are CNC machined rather than cast. 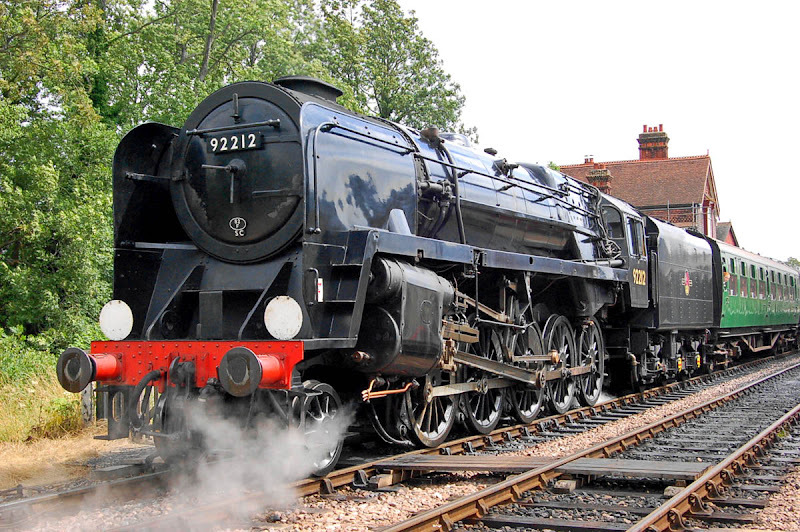 92219, the second last steam locomotive built by BR. 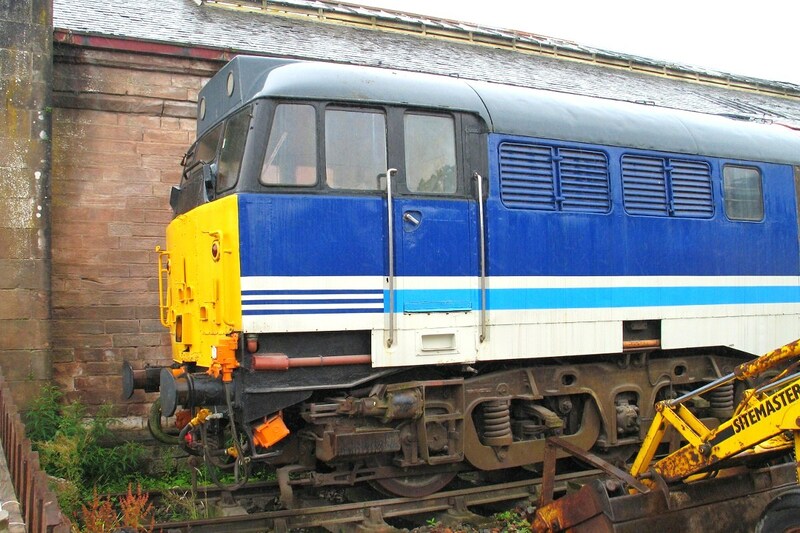 Delivered to Kirkby Stephen from Midland Railway Centre, Butterley. 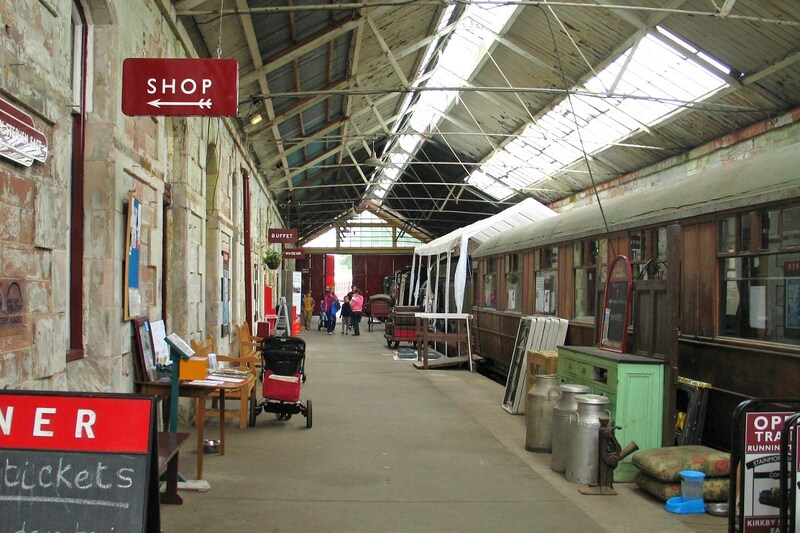 Inside the 'Darlington' train shed, facing towards Tebay. Gresley buffet 24287 on the right. 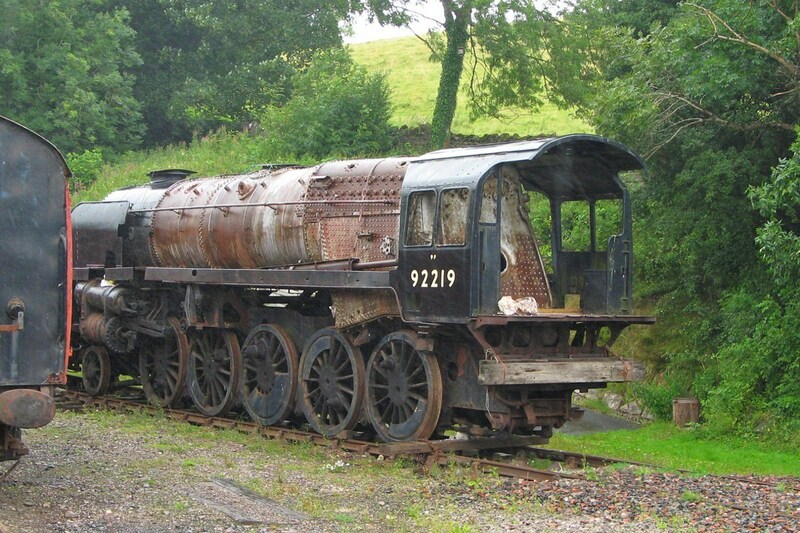 Working Peckett tank builder's number 2084 F.C. 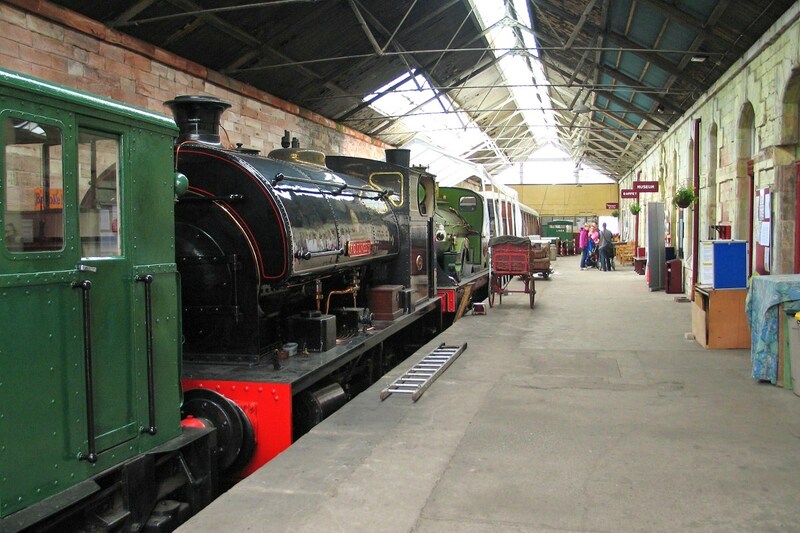 Tingey and NER 910 on loan from the NRM. 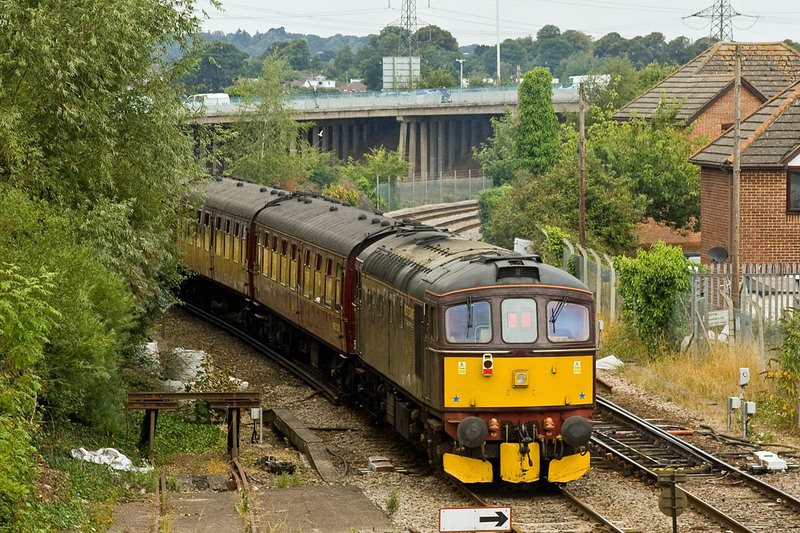 A Class 108 dmu is seen in the distance. After closure the station was used as a bobbin mill. 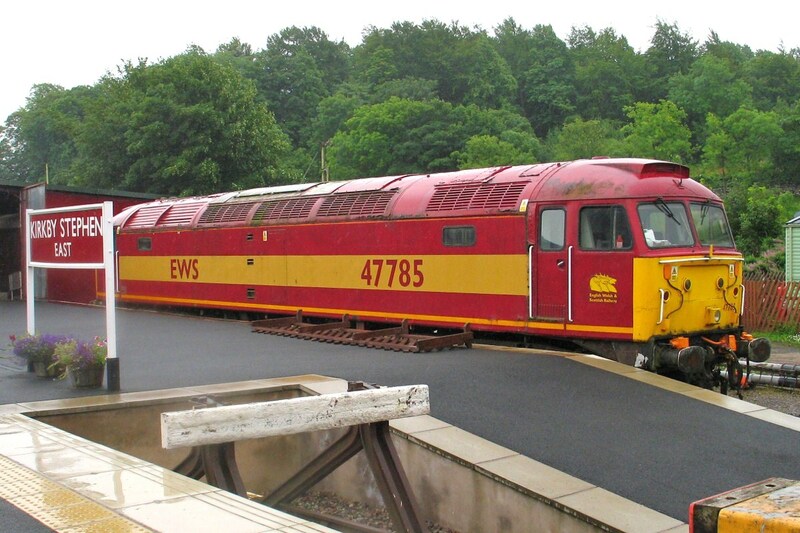 BR ran the last service to a quarry beyond Kirkby Stephen in 1975. View looking west towards Tebay & Appleby. 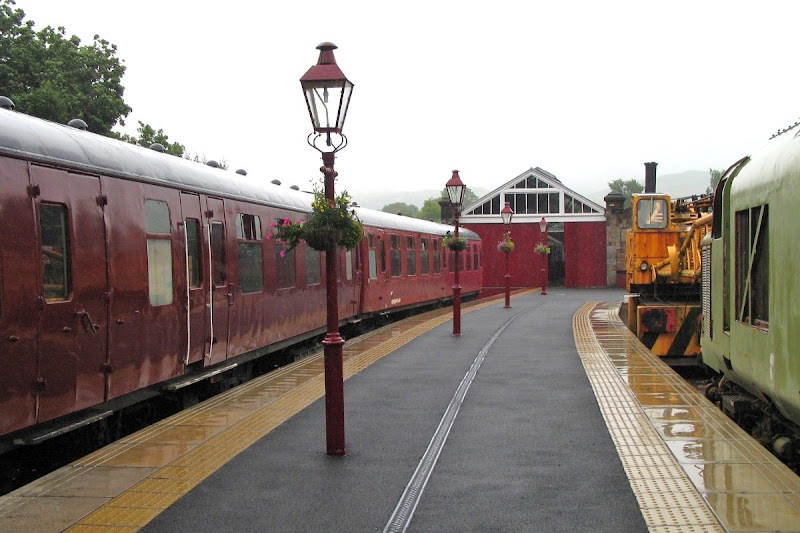 Kirkby Stephen West, on the Settle & Carlisle, as restored and renovated in 2005. The footbridge was relocated from Guiseley. 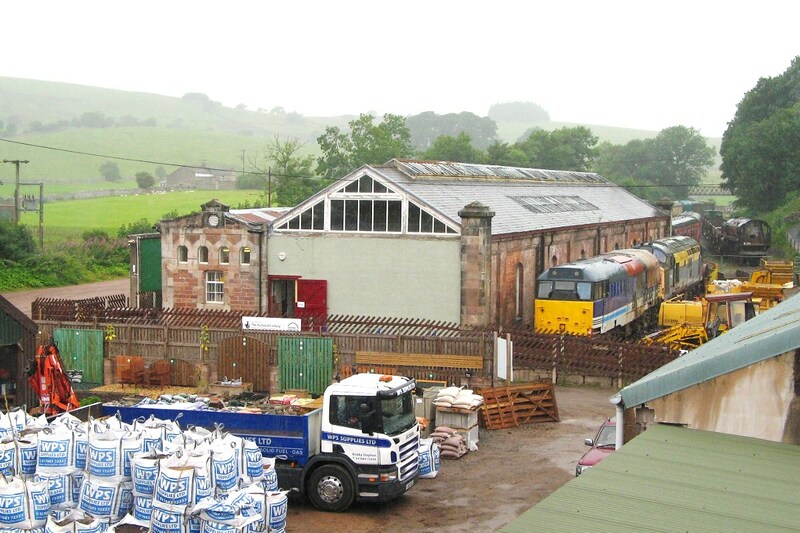 The signalbox, to LMR standard design, was erected in 1974, although it is based upon the former Kendal signalbox. 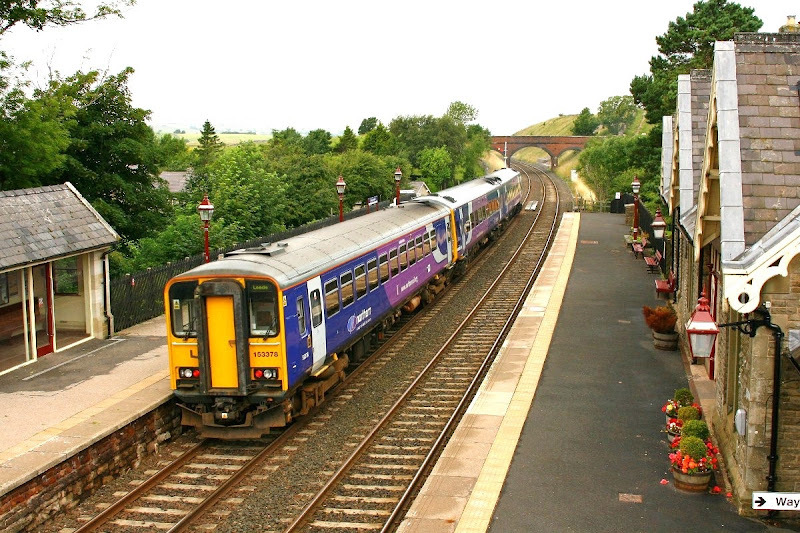 158850 + 153378 departing with a Leeds - Carlisle service. 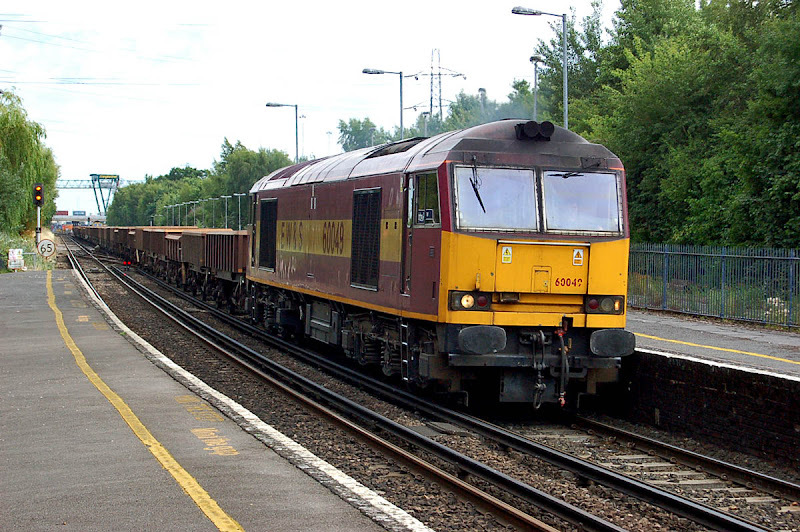 66615 with southbound coal 05:49 Hunterston to Fiddlers Ferry Power Station. 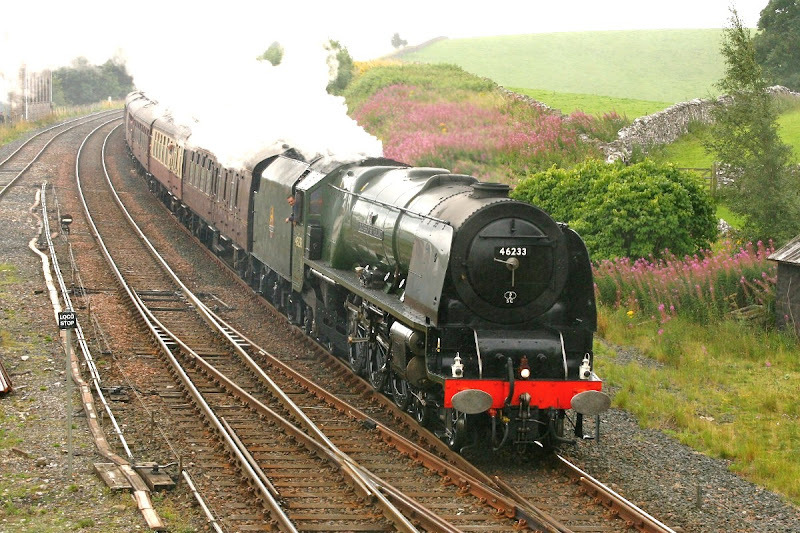 46233 Duchess of Sutherland with 'The Cumbrian Mountain Express" from Crewe to Carlisle (steam from Liverpool). 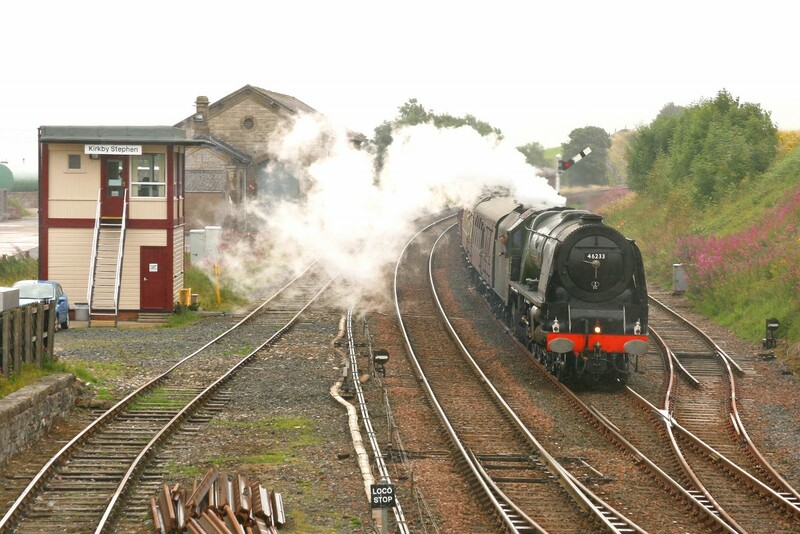 The fireman rests, having climbed to Ais Gill, it is downhill now to Appleby, for water, then on to Carlisle. 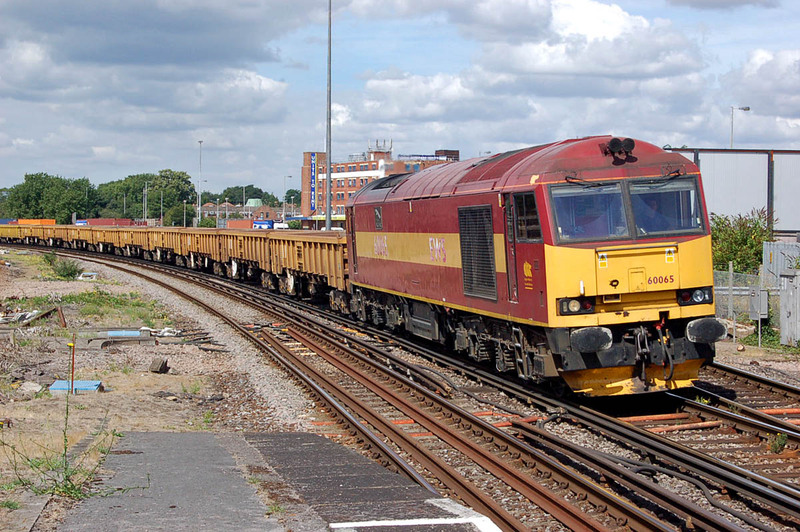 FLHH 70004 working Trafford Park to Maritime on 19th August. Image by Ian Knight. 975025 + 37402 passing Eastleigh, 21st August. Image by Ian Knight. 70013 Oliver Cromwell with the Dorset Coast Express, Totton, 21st August. Image by Ian Knight. 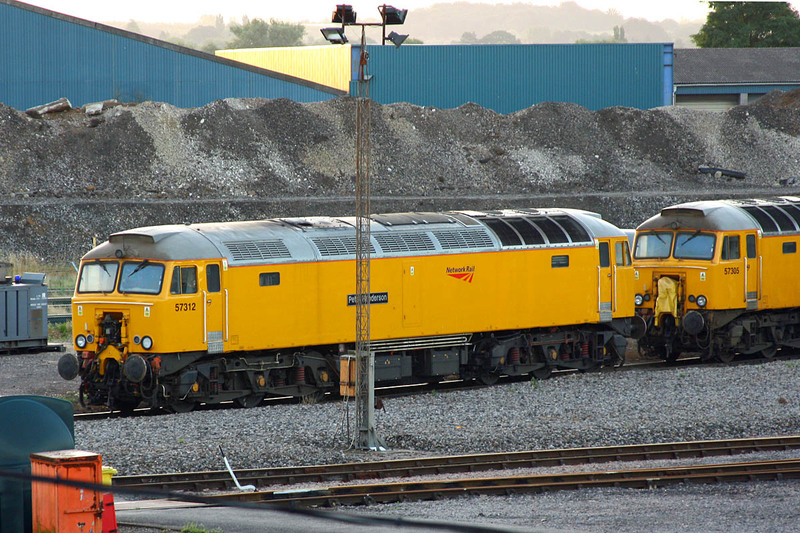 60065 on the Western Docks - Eastleigh working, 21st August. Image by Ian Knight. 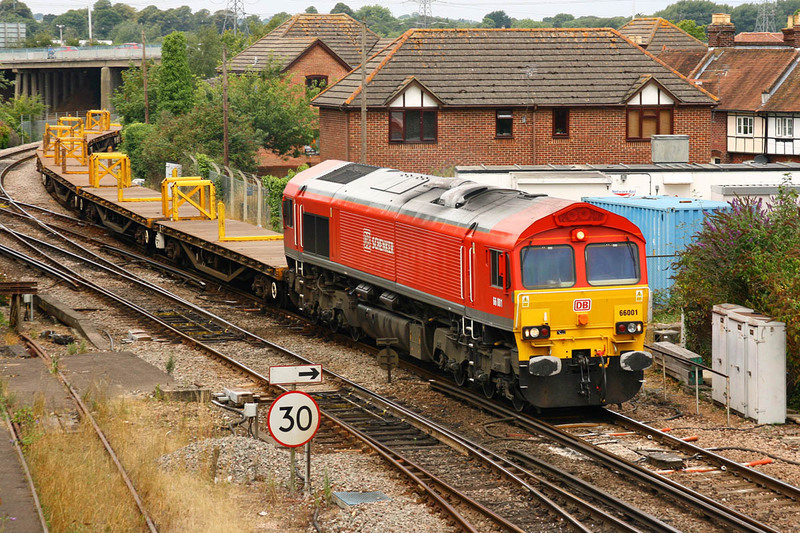 "The other" 70013 on hire from FLHH, St Denys, 21st August. Image by Ian Knight. 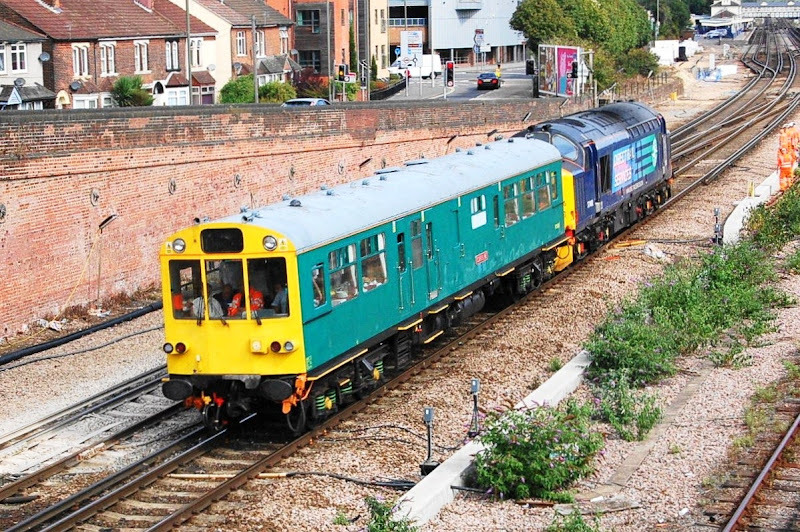 47245 returns with the Dorset Coast Express, Redbridge, 21st August. Image by Ian Knight. 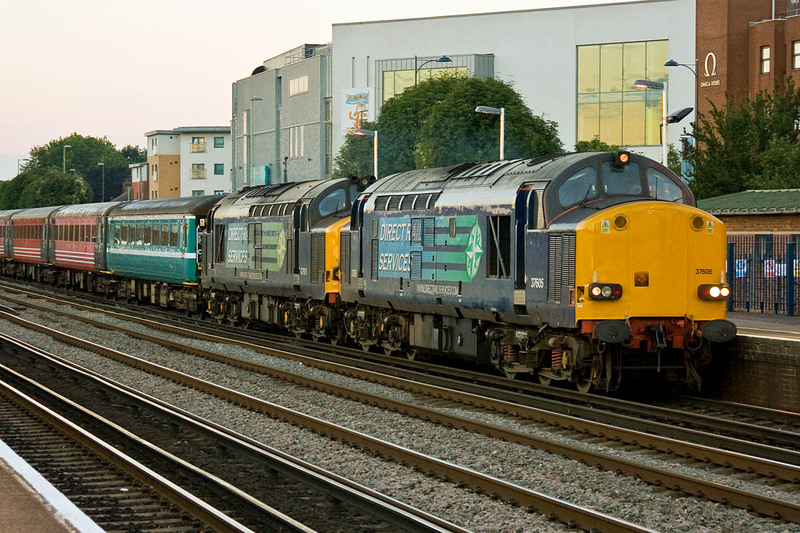 70013 returning the train London bound, Redbridge, 21st August. Image by Ian Knight. 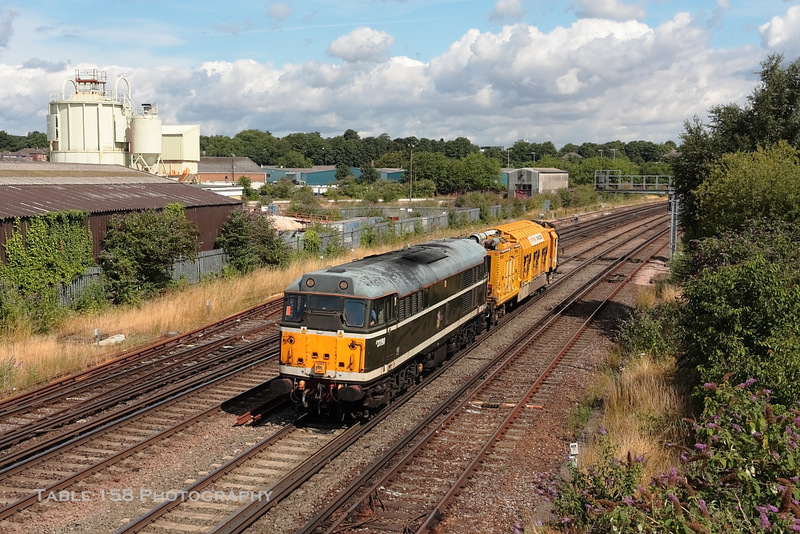 60065 passes Millbrook with 6O41 Westbury - Eastleigh, 13th August. Image by Ian Knight. 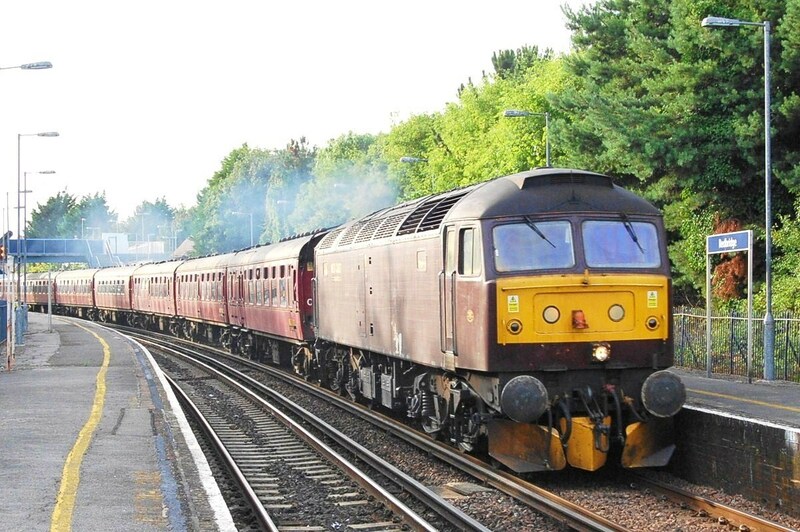 60049 operates the return journey as 6V41 Westbury - Eastleigh, seen at Redbridge. Image by Ian Knight. 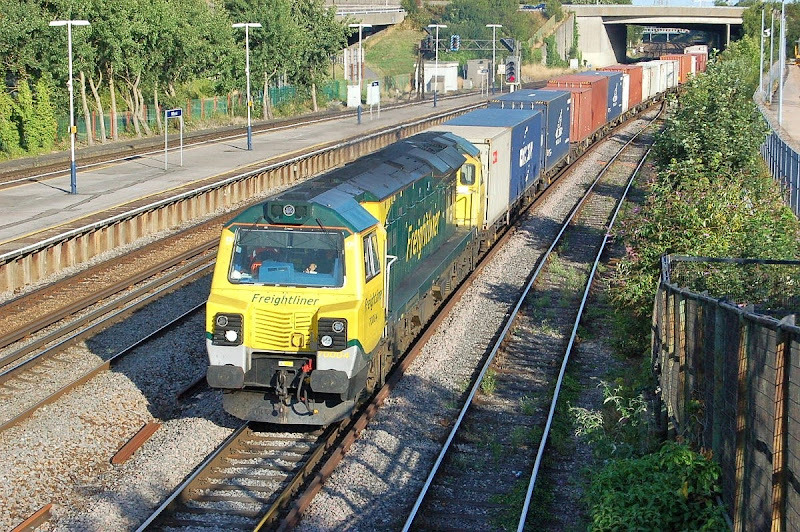 66001 at Redbridge with 6V41 Westbury - Eastleigh, 14th August. 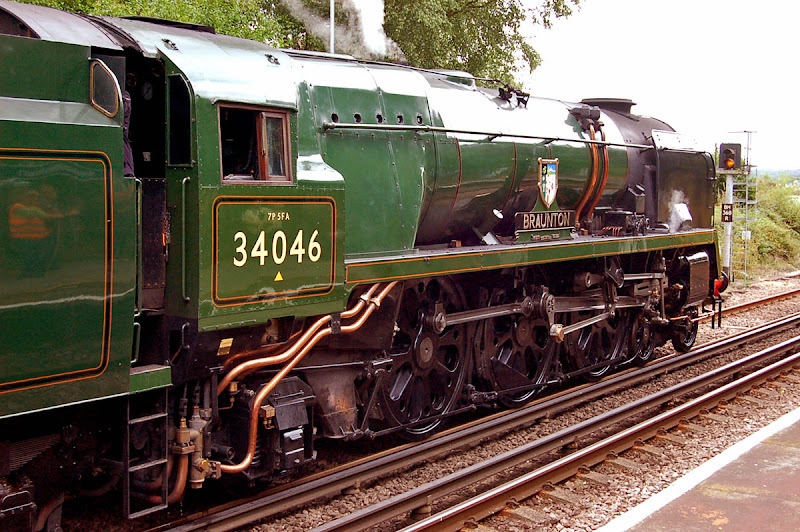 34046 Braunton makes its return to main line passenger operations, for the first time since 1965, when it was withdrawn from Bournemouth. 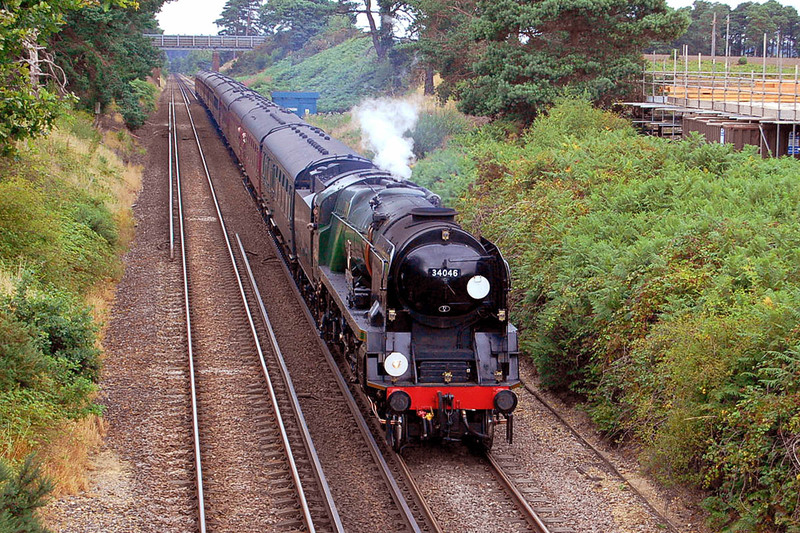 34046 leads into the curve at Redbridge, on its first return to Bournemouth and Weymouth since 1965. A closer image of Braunton. 33029 Glen Loy on the rear of the train. 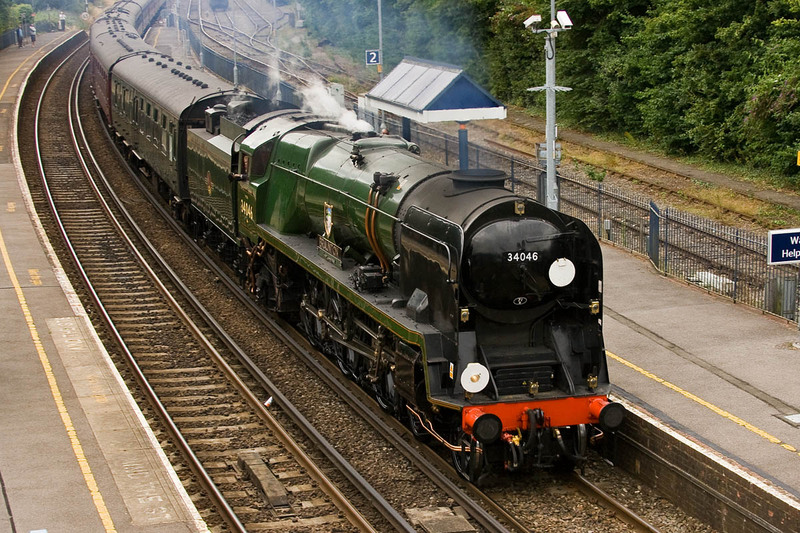 A 3 minute delay at Redbridge became a 10 minute one before arrival at Beaulieu Road. Image by Ian Knight. 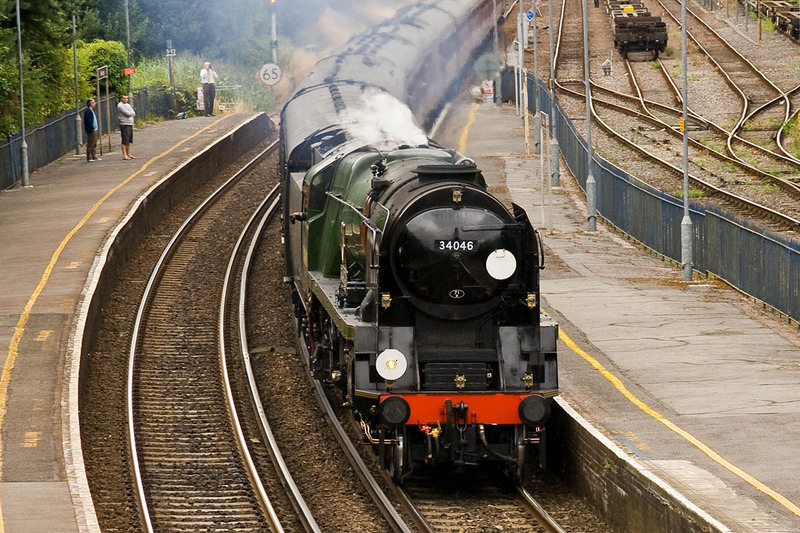 Detail of Braunton. Image by Ian Knight. 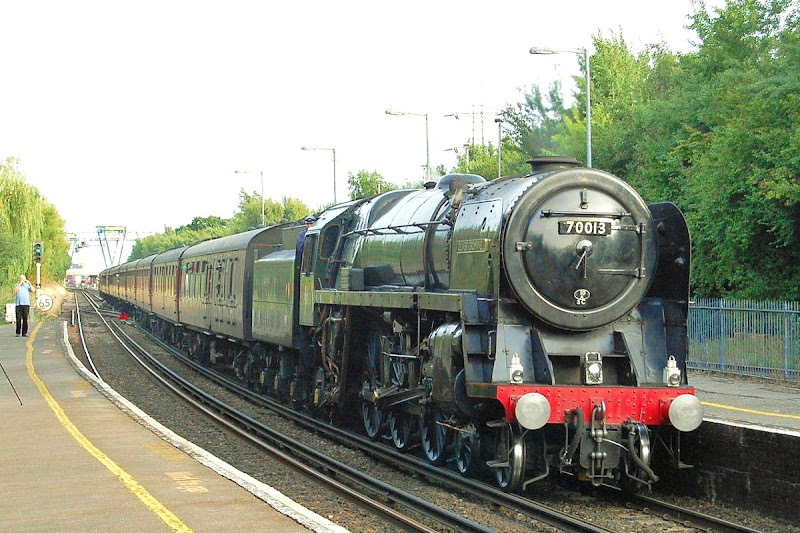 A reflection upon the state of Braunton before restoration and overhaul started. 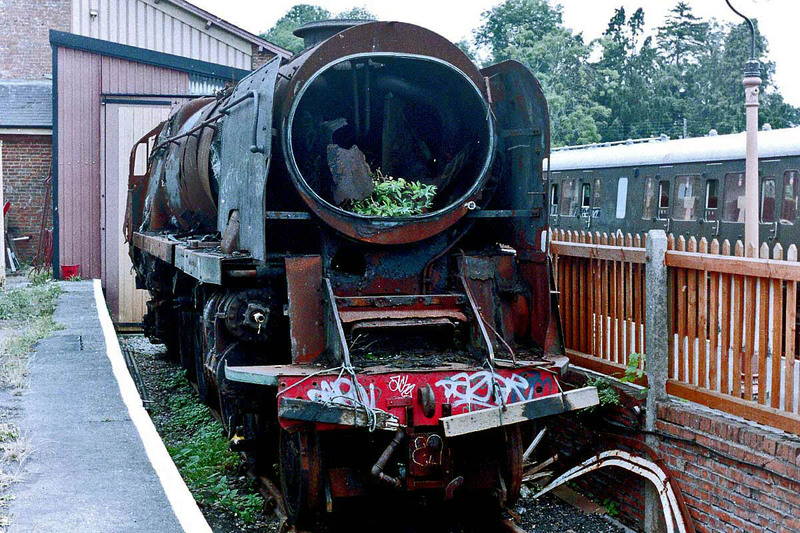 Bishops Lydeard, summer 1996. 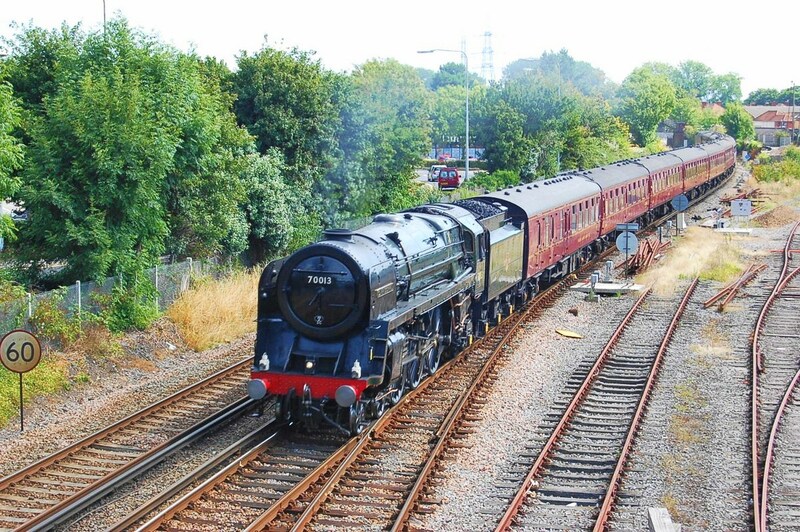 A video of the train passing Redbridge in all directions. 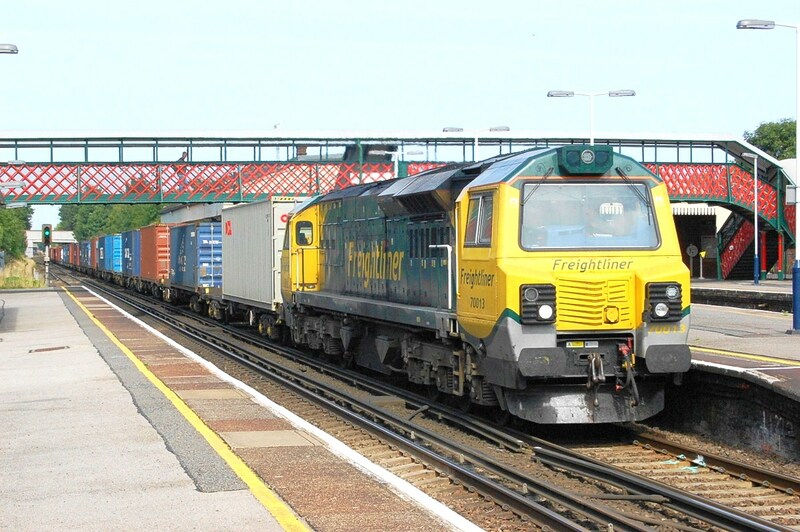 Understood to have been broken up last week at Eastleigh between Tuesday 6th and Thursday 8th. A retrospective gallery was shared here in March. 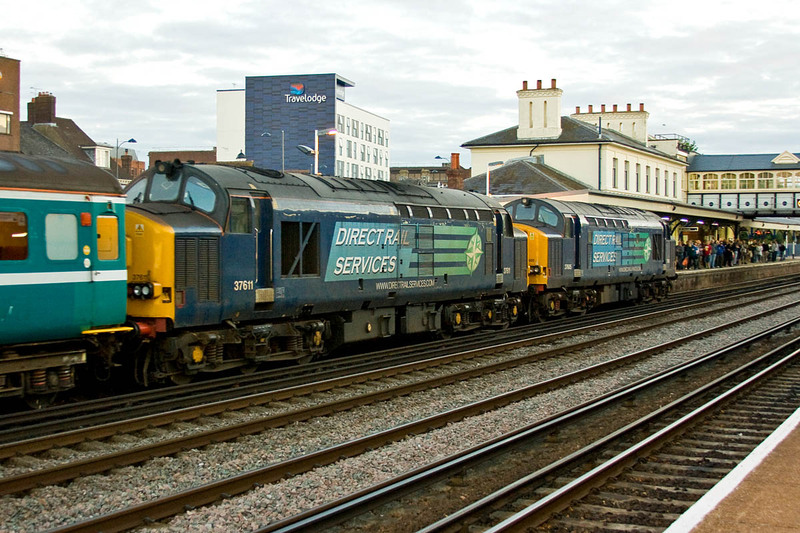 37605 + 37611 arrive at Eastleigh at 05:48, just a few minutes after sunrise. Lead locomotive 37605 was new as D6736 allocated to Hull Dairycoats on 25th April 1962, later 37036 and 37507. 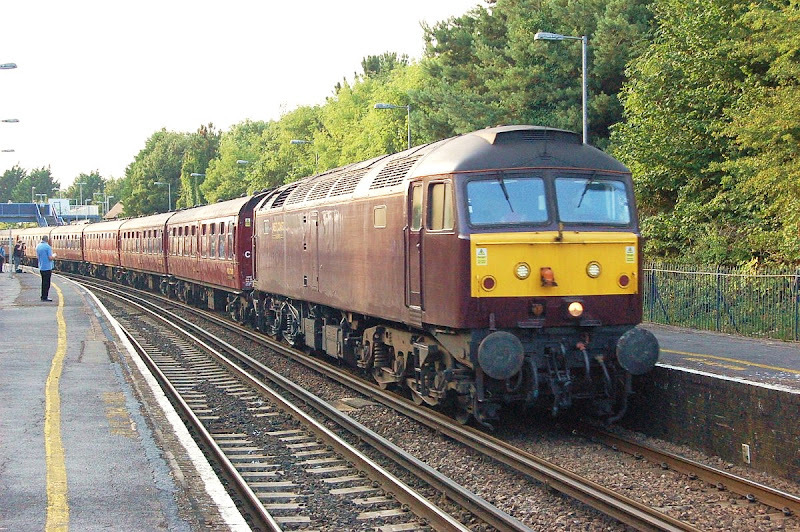 37611 was new as D6871 on 17th September 1963, allocated to Cardiff Canton, later 37171 and 37690. 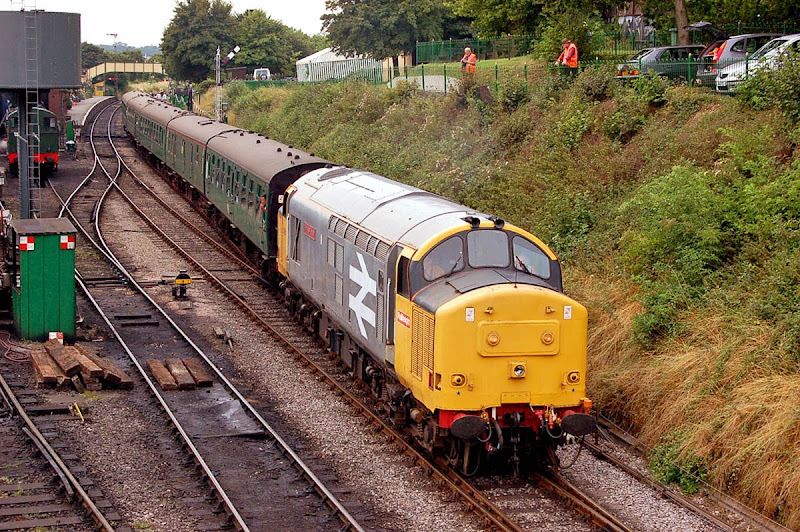 37901 in service on the Watercress Line at Ropley on 7th August - an assisted steam service started the next day. Image by Ian Knight. 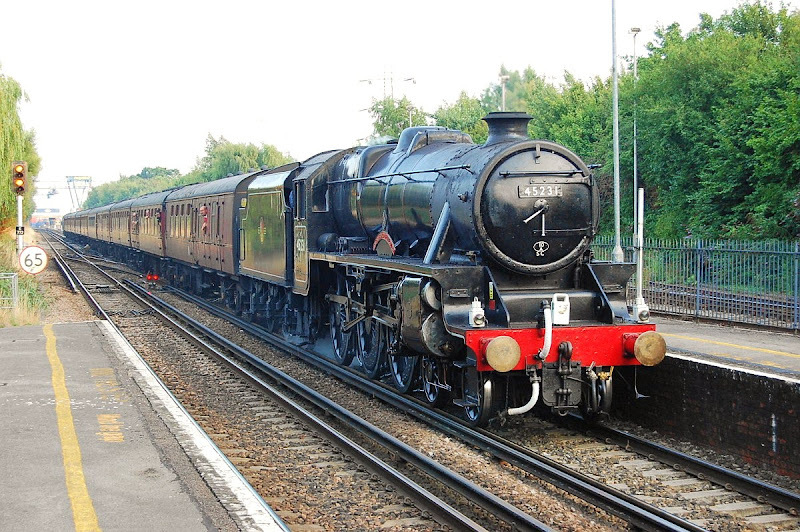 The recently repaired 57312 Peter Henderson at Eastleigh, early on 10th August. 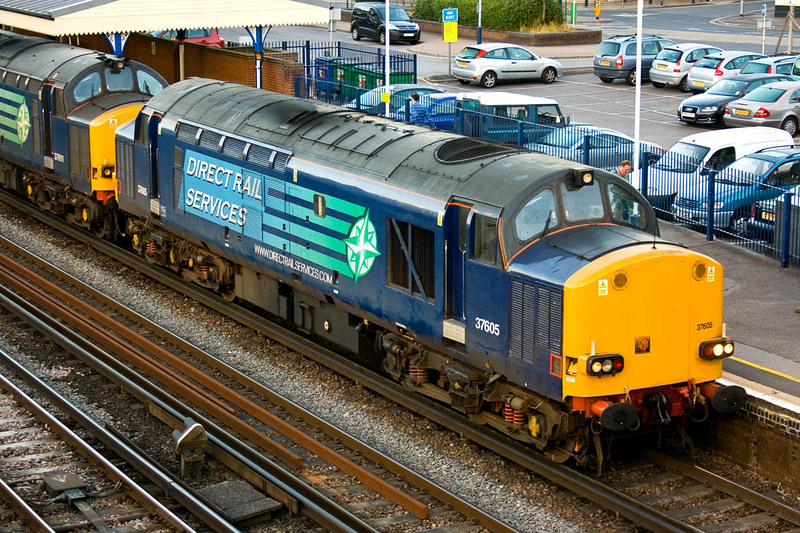 508205 at Eastleigh, 10th August, which will likely be for scrap. 70001 & 70018 remain in Eastleigh LNWR. 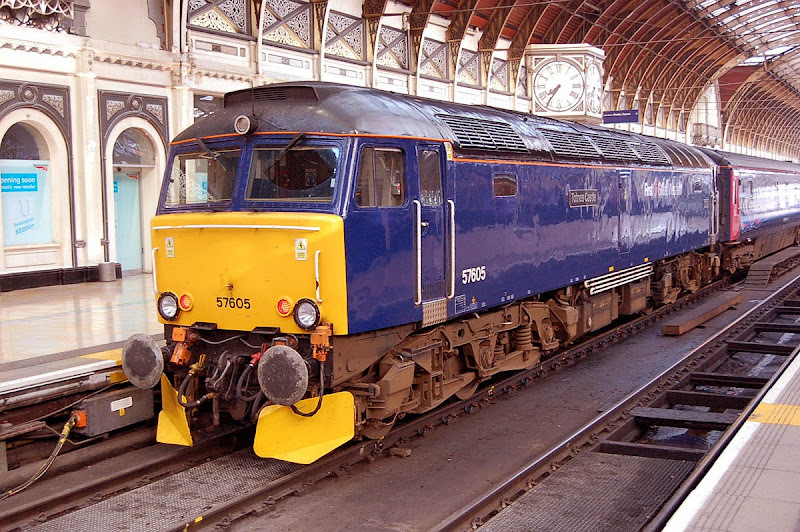 57602 Restormel Castle prepares to remove sleeper stock at Paddington. 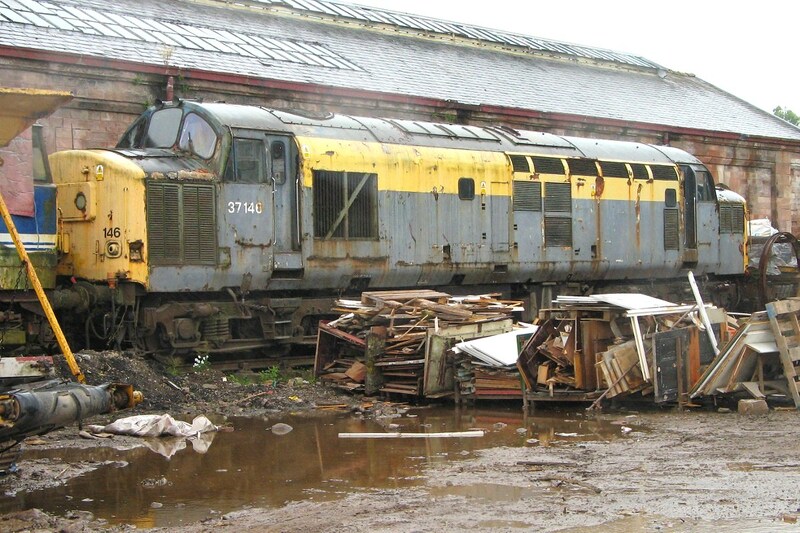 Formerly 47337. 57605 Totnes Castle had brought the sleeper in from Penzance. 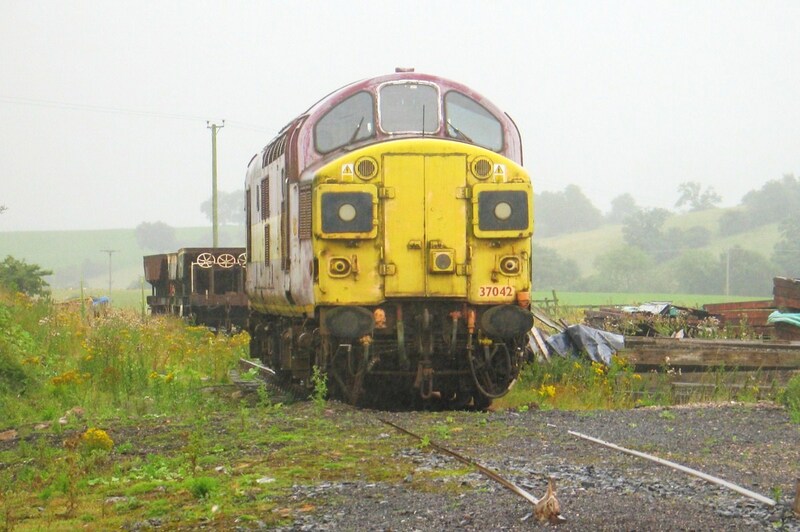 Formerly 47206. 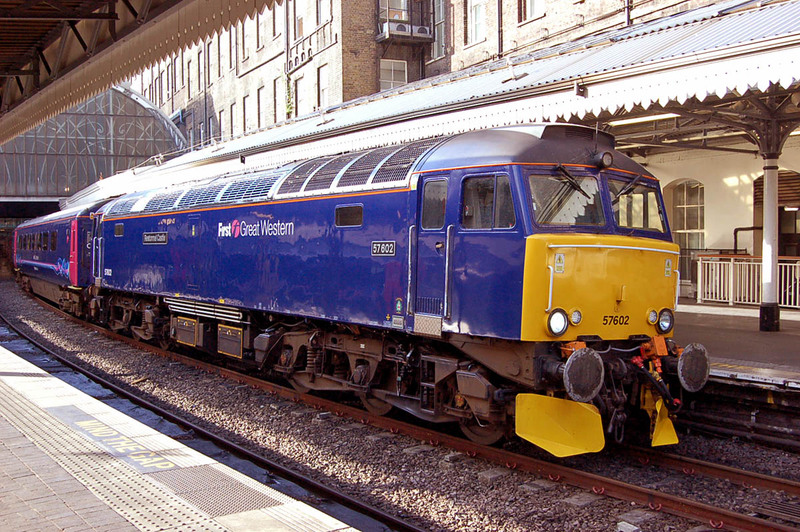 86259 (E3137) Less Ross has arrived at Kings Cross from Edinburgh with 1Z86 private charter which had departed at 07:18. 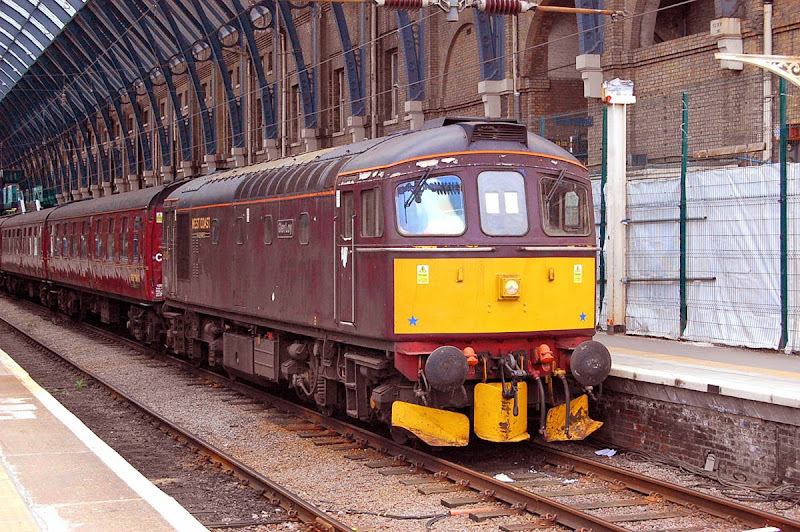 33029 Glen Loy is about to remove the ECS from Kings Cross.